How stinkin' gorgeous is this tissue box cover?!? Are you allowed to say that about your own creations? 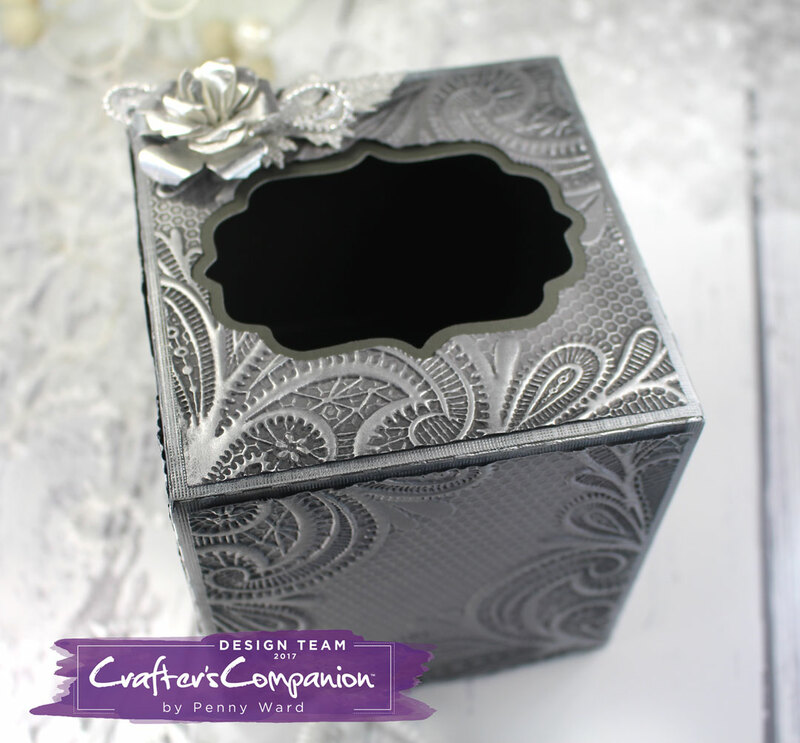 Using a template from the Silhouette Design Store for the actual box, I then cut panels and embossed them to cover the top and sides. 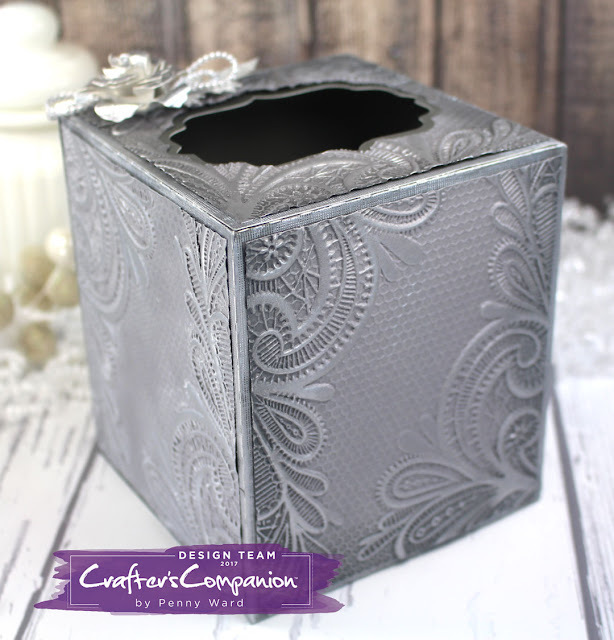 Using Dark Gray cardstock, I embossed with the Ornate Lace folder, then used Silver Gilding Wax to rub on the raised area. Let me just say that the Gilding Wax is my new best friend...just wish it came in a multitude of colors. 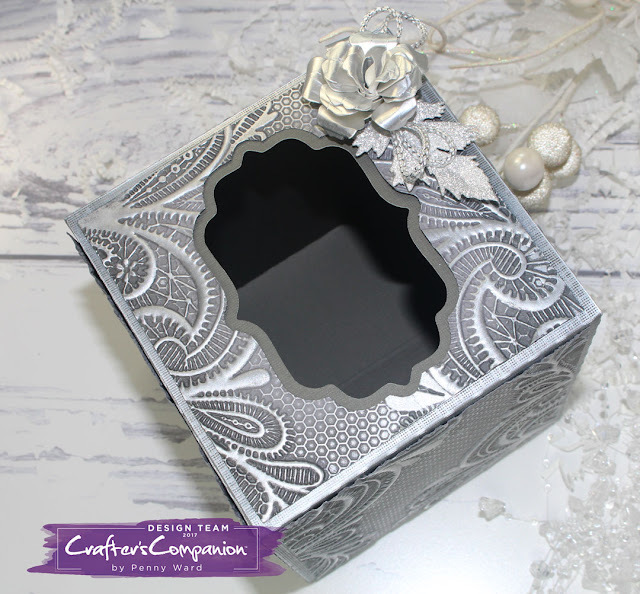 A pretty Aged Rose die using Matte Silver Luxury cardstock along with Silver Glitter Luxury cardstock for the leaf. 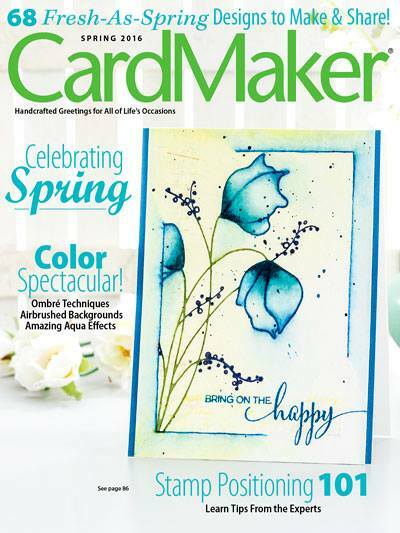 This one is actually being sent to Home Shopping Network for their May 9th show, but you can rest assured I will be making another for my new bathroom.